We put together a personal service to suit your packing requirements. Full pack – all items packed by our trained professional packing crew. Full Breakables pack – all fragile items china class pictures etc packed by our professional trained packing crew. 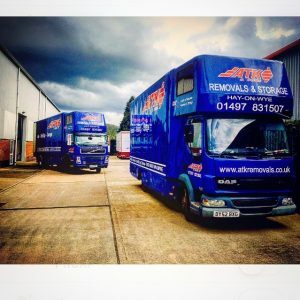 Owner pack service – We provide all the necessary packing materials prior to your removal with a brief demonstration of how to pack fragile items if required. Specialist packing – Our team can also pack barometers, grand pianos, grand father clocks and any other high value delicate items you have. I would like to thank all the ATK removers and the admin staff for a superb experience. We had a complicated move, involving three houses and storage, with things going backwards and forwards. The team were highly professional, efficient, and worked tirelessly in very good spirits throughout all the moves. We had a grand piano, a harpsichord, and several precious oil paintings, amongst a huge quantity of books. Nothing was too much trouble for the men, and if I asked them to take a piece of furniture upstairs and then bring it down again, which I’m afraid I did on at least one occasion, nobody so much as rolled their eyes. I thoroughly recommend this excellent firm.